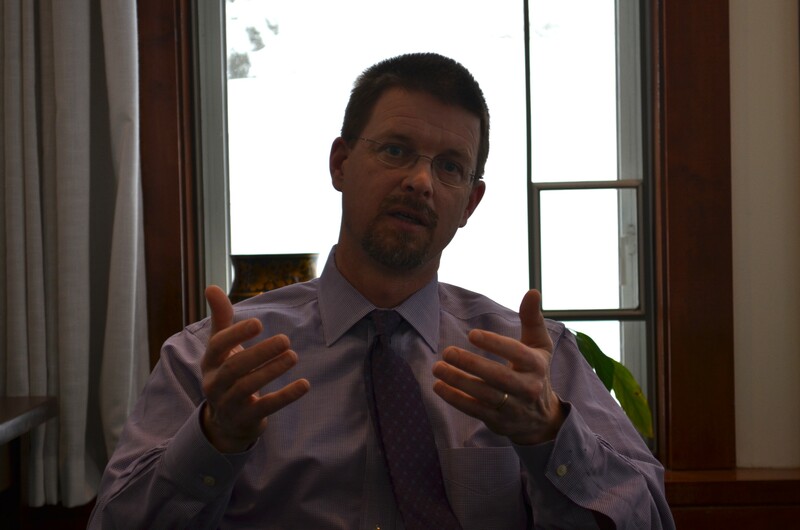 Updated Thursday, June 12, at 10:46 a.m.
For weeks, House Speaker Shap Smith (D-Morristown) has expressed ambivalence over whether to seek a seventh term in the Vermont House. Citing competing family and professional obligations, Smith said it might be time to pass the gavel to a new leader. But on Thursday morning, just hours before nominating petitions were due, Smith filed for reelection at the Morristown municipal offices, according to town clerk Mary Ann Wilson. Despite his public hemming and hawing, Smith said he still feels a passion to serve. “I wanted to make sure that I was going to be all in, and I was not willing to do the job unless I was going to be all in,” Smith said. Throughout his speakership, Democrats have enjoyed overwhelming majorities in both the House and Senate. This fall, Republican leaders hope to focus on making gains in the legislature, but Smith said he feels cautiously optimistic about his party’s chances. An attorney with the Burlington law firm Dinse, Knapp & McAndrew, Smith first won election to the House in 2002 and assumed the speakership in 2009.